This is my go to pancake recipe. Never thought I could do it from scratch. Thank you for showing me how to create the best pancakes! Thanks, Danielle! Aren’t they just divine?! So glad you enjoy them! Made these for a staff meeting of about 12 people. I tripled the recipe since my staff eats a lot and had plenty. The pancakes were a great consistency and delicious. Would highly recommend. Thanks for the feedback Ainsley! I tried these and they were so good!! Thank you for sharing this recipe. I halved it and it’s the perfect amount for 2 hungry people! Hooray!! Thanks for the feedback Mel! Xoxo! So glad you enjoyed them! I made these, trying my best not to mess them up, and some how, I must have. The clumps from not over mixing stayed, and the pancakes were chunky and disgusting. Super disappointed, as we don’t have buttermilk at home often, and I was very excited to try these. You want streaks of flour, not clumps. I’m so sorry they didn’t turn out for you! These pancakes were very fluffy as promised. I certainly will make them again. I am sending the recipe to my nephews to make for their mom who is revovering from surgery this week. I think it will be a comforting treat. Next time I will use a little less sugar though as I thought these were a tad sweet which is unusual for me as I usually add a tad more sugar to pancake recipes. Over all this is a winning recipe. Thanks for sharing! P.S. You are absolutely right about not over mixing the batter. This is true of all pancake, biscuit and scone recipes. Thank you for the feedback Mary! So glad you enjoyed them! Thanks for passing the recipe on too! I’ve never made pancakes from scratch before, but I had some leftover buttermilk and thought I’d try this recipe. I thought it a bit odd there’s no vanilla in the recipe, and the part about mixing just barely and leaving visible streaks of flour made me quite nervous. I followed the recipe to the letter. The result: perfect pancakes. I’ll definitely make this again! Thank you for the feedback Tony! I know some things go against your intuition, but it just works! So glad you enjoyed them! Wonderful recipe. I made these pancakes and they were as promised: fluffy, light and delicious. Thank you Anna! We sure love them in our house! I have tried soooooo many recipes on my quest to make the most perfect, fluffiest, tastiest pancake ever, and had just about given up, when the heavens opened up and bestowed upon me this miraculous recipe! Too dramatic? I think not! lol…When I say that these are the best pancakes that I have ever tasted, it is absolutely not an exaggeration! And to think that even ‘I’ was able to follow the recipe (to the tee, I might add) and have them come out amazing was a feat in itself! And just to make sure that it wasn’t a fluke, I tried the recipe again, and again I had complete success! 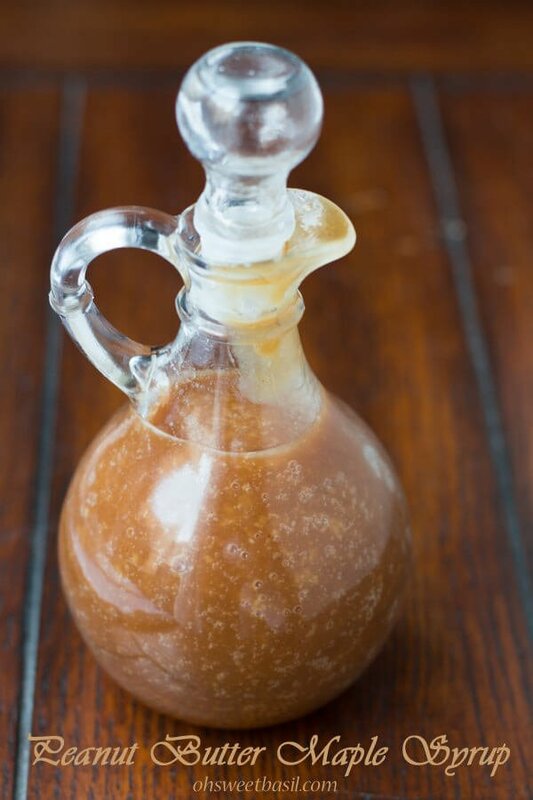 I even mustered up the courage to make the buttermilk syrup which we have now aptly named ‘Nectar of the Gods’ which go perfectly with those heavenly pancakes! Bless You, Bless You for sharing this recipe! Hahahah…oh my goodness! You are my favorite person!! I feel the exact same way about the pancakes and syrup. Nothing is too dramatic for the heaven that these are! Thank you for taking time to give us feedback!! Happy pancake-ing! These look better than Mama’s! Don’t tell her I said so!! No offense to mom, but I guarantee they are!! Shhhh!!! This was the BEST pancake recipe I’ve ever had–and I mean, including ever eaten out. I followed the recipe exactly, and the batter came out thick and, frankly, weird looking. It was light, you could tell there was air in there, and it almost looked curdled, it was so lumpy. BUT, I didn’t stir to make it smoother, I just cooked a test pancake–streaks of flour and all, just like the recipe said–and they were PERFECT. I threw some blueberries on the raw side as they cooked on side one, and that worked just fine with this recipe too. An absolute keeper! Way to trust the process! I know it almost feels unnatural to not thoroughly mix it, but that really is the key! So glad you enjoyed them! These truly are the best buttermilk pancakes ever!!! I was skeptical about having some lumps of flour but not overmixing is key. Thanks so much for this recipe. Thanks Jessica!! We sure love them! Do you sift the flour before or after you measure it? Hi Gaile! Sift the flour after measuring it. 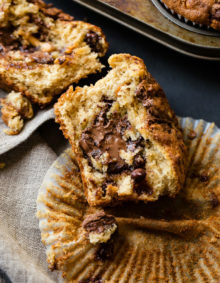 Could I use cake flour instead of regular flour in this recipe? We are in the polar vortex here in Chicago and I want to make pancakes for my kids since there is no school but all I have is cake flour! Hi Ashley! I’ve never tried it, but I think it should be ok. Worth a shot! Good luck with that crazy weather! 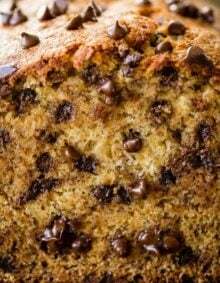 When substituting cake flour for all purpose it is usually recommended that you add about 2 additional tablespoons per cup of cake four. Cake four is finely milled and lighter in weight. Ok I’m not a big pancake eater or maker. But my family is. I made these today. Only thing I did was cut recipe in half. Made seven very good size pancakes. These were fabulous. They were light fluffy and just like you remember pancakes tasting. Will never make them any other way again. Thank you! Thank you so much Lona! We love these so much too! Glad they were a hit for your family too! I’ve tried several recipes and I’m confirming that this IS the best pancake recipe I’ve ever made. My question is, do you think it would work just as well for waffels??? Absolutely the best pancakes ever. I added sliced fresh apples to mine and still were light and fluffy. That sounds so yummy!! So glad you enjoyed them! HOMERUN! !…..NO…..GRAND SLAM!! Thank you so much for all your trials and errors to make this recipe happen. I am not particularly a pancake fan. I prefer waffles and their crispiness instead. But I am married to a pancake fanatic who craves them all the time. I have done my own trial and error with egg white recipes, etc. and they always produced less than spectacular results for fluffy pancakes WITH FLAVOR. I followed your recipe for Melt In Your Mouth Buttermilk Pancakes to a tee and my pancakes not only looked exactly like yours in your photo (never happens), but they were FLUFFY fantastic. My hubby just couldn’t stop MMMMMMMM…..with every bite (also unusual!) . I make my own chokecherry syrup and poured them over these. So DELICIOUS! I am now a pancake convert! My search is OVER! THANK YOU THANK YOU!!! Ann!!! You should see the smile on my face! You have made my day…seriously! They really are the best pancake ever! I need to try your chokecherry syrup asap! Yesssss! Love to hear that Lena! oh gosssh! these were good, thank you for the recipe. Aren’t they dreamy?! Thanks Patty! 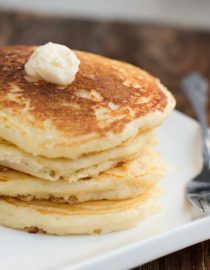 Not even sure why I did a search for buttermilk pancakes, I think because it got in my head to find – yet again – a decent recipe as I had a craving for pancakes. I generally stick with French toast or waffles which I love but pancakes, excluding my lemon ricotta pancakes, ALWAYS sat like a lead weight in my tummy so I decided “no more!” And just gave up. Then I found your post from nearly 2 years ago and was intrigued enough to try as they sounded just heavenly. OMG!!! Heavenly doesn’t begin to describe how good these are. I am officially back on pancakes when the mood strikes me. Not just any pancake. These pancakes. 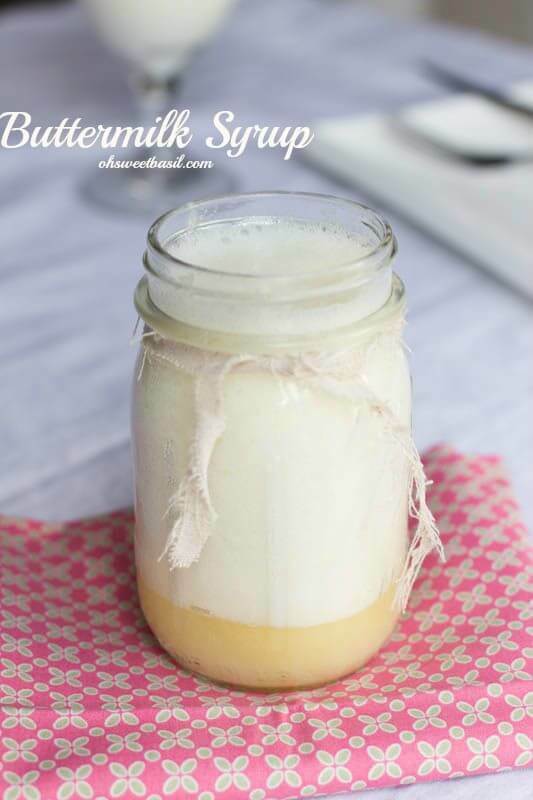 And yes, I tried your buttermilk syrup… Equally heavenly! Wouldn’t change a thing for either recipe. Both are keepers. Welcome back to the pancake train, Candy!! So glad you can enjoyed these and syrup! We can’t get enough of them either! Not sure if I should use whole buttermilk or low-fat. Would there be a significant difference between the two? Hi Jessica! I would go with whole! Wow, I didn’t even realize they made low fat buttermilk. I don’t buy it often and by nature regular buttermilk is low in fat. These Q & As always have interesting tidbits in them. That’s why we love getting feedback and questions from our readers! Thanks, Mary! I’m the furthest thing from a cook – (old hippie software guy) – but wanted pancakes and used this recipe. Thanks Jonathan!! Pancakes seriously don’t get any better than these! Thank you for taking time to leave a comment! Followed exactly and were fantastic. Added bananas to some at the end and caramelized more banana sliced lengthwise on griddle in butter and topped off pancakes with this and more butter. Heavenly. Was worried would have floury lumps but flour seemed to magically dissolve on its own. Fussy 11 yr old who hasn’t touched a pancake in years had four. Husband said best yet (they both topped with cinnamon butter). Thank you. Winning over the 11-year-old!! That might be our biggest win yet!! So glad you and your family enjoyed this recipe! Made the Award-winning pancakes this morning for breakfast. There are okay, but we prefer airy and light pancakes. 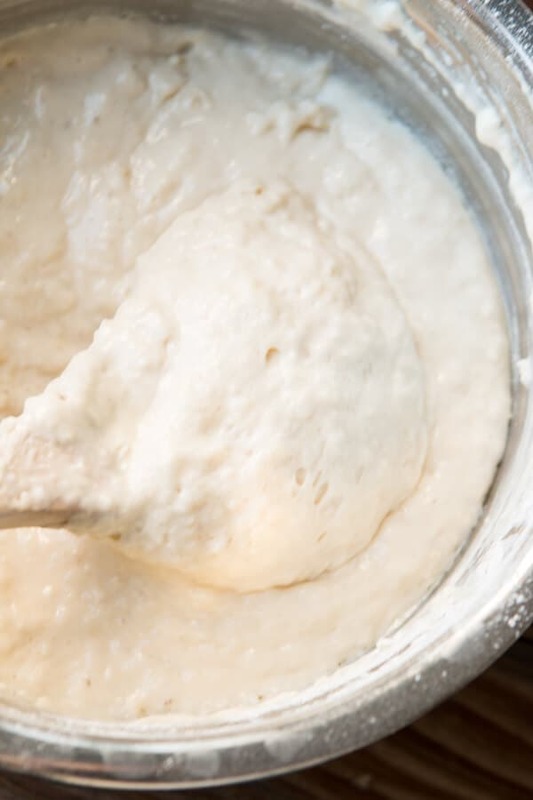 It sounds like you might want to try the egg white method for pancakes. 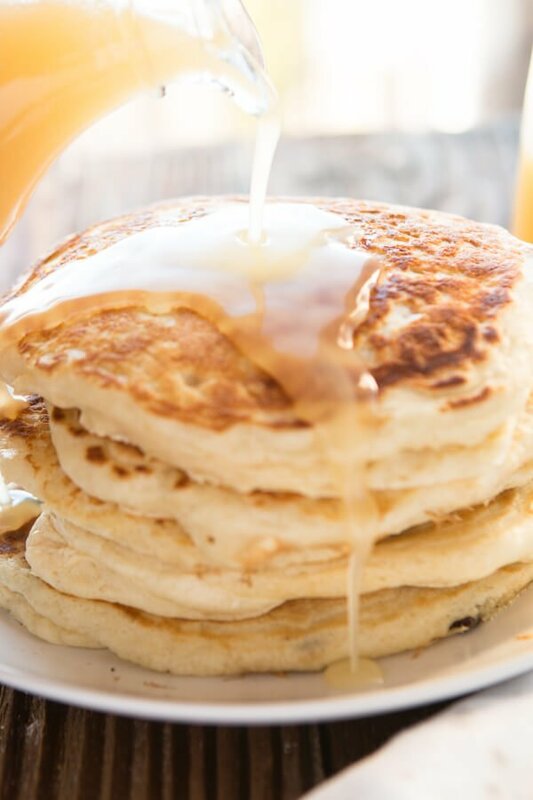 These pancakes are fluffy but not super airy. I’ve made thousands of pancakes over my 57 years, but I love this recipe. I love it as is. Sure, you can add vanilla, or cocoa, or even blueberries or bananas, but as is, it’s the best recipe I’ve found. Thank you for sharing. You just made my day, Cathy!! We absolutely love this recipe! Can you freeze the made pancakes and reheat in toaster? I made these pancakes yesterday as a way to use up some leftover buttermilk that I’d bought for a cake recipe. They are AMAZING. The most delicious pancakes I’ve ever made. My question is, do you think that it would work to add cinnamon to make Cinnamon Buttermilk Pancakes, and if so, how much cinnamon would you recommend? Thank you Janice!! You can absolutely add cinnamon! I would go with 1 tsp of cinnamon. Enjoy! I made these tonight and they were the best pancakes I’ve ever had. I made them dairy-free by replacing the buttermilk with a coconut and almond unsweetened creamer and about three table spoons lemon juice, and used vegan butter. They were perfect and fluffy and I added the smallest amount of vanilla to counter the lemon taste. Thank you to this amazing recipe, I’ll never use any other! Yessssss! And thank you for the dairy free tips! I will have to try that! We are always looking for ways to make our favorite recipes friendly for all diets. Thank you so much for taking time to leave a comment! OMG you just done it. I’ve been making these for the kids forever and they love them so fluffy. And today took 1/4 flour out and replaced it with Cocoa some dark chocolate chips on top flip when cooking. They are the best I’ve ever had. Thank you. You have me drooling now! What kind of syrup did you use? Can you give me the measurements if we want to add cocoa powder in it? Thank you so much! Whatever you add in cocoa, I would subtract from the flour. I’d start with 1/4 cup. Now you’ve got me wanting to try this! I never felt the need to comment on any recipe but this one, wow!! I added some more sugar and vanilla and it turned out to be the best pancake I’ve ever had. Yahoo!! We love to hear that and love to get feedback! Thanks for stopping by and commenting! i lucked out in finding this recipe. 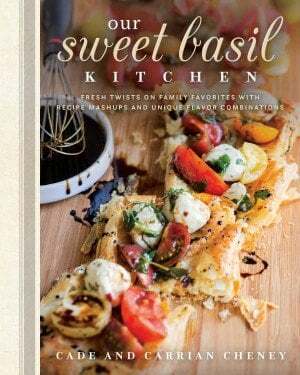 i had browsed a couple and decided on the ny times version but the site wouldn’t let me view the recipe again without a subscription. 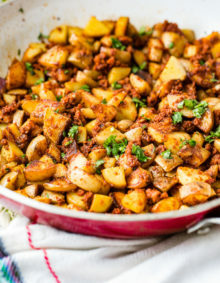 i scrolled and found this, remembering i’d liked other recipes of yours previously, i settled in. first off, i allowed my eggs and buttermilk to rest on the counter for an hour before melting the butter, as i wanted it to warm to room temp. after lightly combining wet and dry, i let it sit for another 30-40 minutes for the buttermilk to raise the dough. i cooked the pancakes on medium-low heat with coconut oil because i love the crunch it gives to the pancake edges. the pancakes were delightful! i ate one without syrup and it indeed melted in my mouth. thank you so much for the recipe. Evelyn, thank you so much for this great review! I love the idea of using coconut oil. I’ll have to try that next time! Your tips and suggestions are perfect! We have these pancakes for dinner on the regular! So glad you enjoyed them!! These pancakes are truly amazing! With our busy schedules, my self and my 4 children, we love 1 weekend that we get to eat together. These pancakes never fail! Always buttery tasting, thick and fluffy. Bursting with flavor. Thank you for this! Great recipe. Nice and fluffy and thick but I found them to be a bit bland in flavor and I used melted salted butter. I will make them again but I’m thinking a little more salt might help. Thanks for sharing this recipe! The saltiness is one of those things that everyone tastes differently! If you tend to prefer things saltier, then adding a bit more should do the trick! Thanks for leaving a comment! I didn’t have buttermilk so I used one tablespoon vinegar for every cup whole milk. The pancakes were flat as crepes. Light but totally flat. Bummer! It should be 1 teaspoon of vinegar to every cup of milk, so that definitely would have done it! The substitute replicates the tangy taste, but it definitely doesn’t replicate the texture that buttermilk gives. Our daughter, Lori, made these pancakes from scrateh a;nd just as instructed. This was a family get-together at an Airbnb in Chico, Ca. Fall was nipping on the leaves of the gorgeous canopy of trees that Chico is known for. 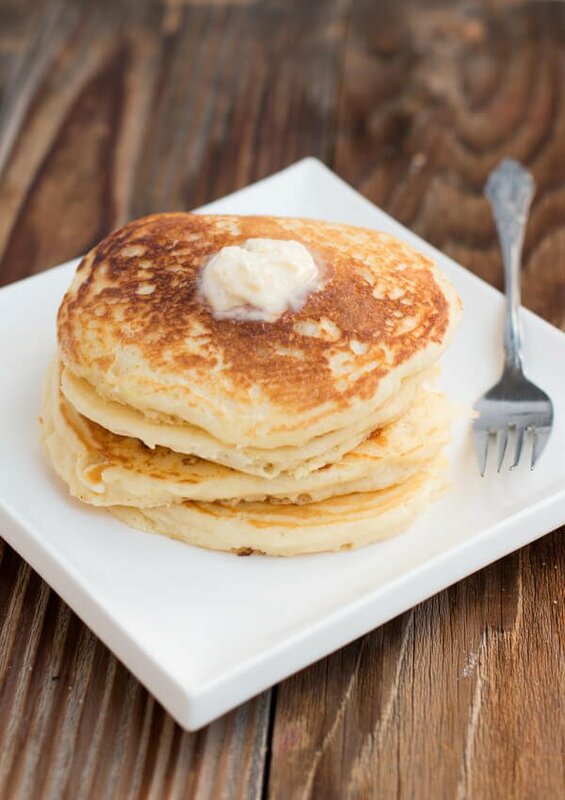 These buttermilk pancakes were to die for….thick, lite, and delicious. Perfect for the occasion. You have a winner here. Everything about that sounds like perfection! Thank you for your kind words! These are my forever ‘go to’ pancakes! My friends mom is a chef and when I made these for her, she said I have ruined her for all other pancakes! Is there a way to make these as pumpkin pancakes without weighing them down? My husband has been requesting pumpkin but I don’t want to ruin your perfect recipe or use another! Yes! And here is the recipe for our pumpkin pancakes! They are so delicious! Thanks for your kind words and support! Yummmm! I may just have to do the same thing! Enjoy! These pancakes have become my family’s favorite on Sunday mornings..they won’t let me make bisquick pancakes anymore ☺️ They’re light and fluffy and absolutely delightful..we won’t ever go back! I don’t sift the dry ingredients but instead I just whisk them..that’s the only thing I do differently..thanks for sharing this amazing recipe! We’ve ruined all other pancakes for you! It happens to the best of us! 🙂 So glad you and your family love them as much as we do! Thank you for taking time to leave us a comment! We love to hear feedback from our readers! Great recipe, but only used buttermilk once. Was too thick and took too long to cook on lower heat (or uncooked centre / burnt). Now it’s just on milk, with some light sour cream or yoghurt, and a dash of vinegar. Last time I used Lemon Greek yoghurt. I cook the pancakes one at a time, sprinkle with a few blueberries (frozen work better than fresh). Once turned, I put lid on frying pan, and they rise dramatically from the steam. Because the batter is thinner, the pancakes spread yet remain light and fluffy. The blueberries help them stay moist in fridge or when microwaved on low heat. Hi Joe. That sounds delicious!! Thanks for sharing! Not sure if you know this, but John Legend gave these pancakes a shout out in an interview with GQ yesterday! I am a pancake lover, seriously, and since making these a few months ago, this is the only recipe I use. They are so delicious and creamy and cakey and fabulous. I mill my own flour so that’s the only change I make- mine are whole wheat. Dare I say that the nutty flavor of the wheat added to all those rest of this is EVEN MORE LUSCIOUS!? Thank you so much for this recipe!! Home-milled whole wheat flour….yummmmm! That sounds so amazing! We are so happy you love these pancakes! They are a favorite in our house! 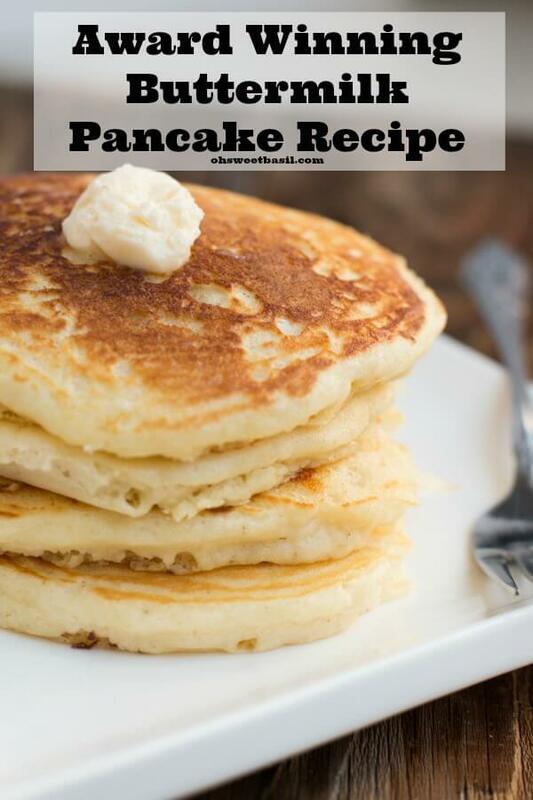 We have tried so many pancake recipes…we finally get to stop searching! These are amazing!!! I always think my batter is too thick when I “plop” it on the griddle, but they always turn out great!!! The syrup is a must too! SO YUMMY!!! I get calls from my teenagers an Friday & Saturday nights often saying “if my friends come over will you make us pancakes? !” This is the recipe they’re referring to! Thanks for sharing! This is what we live for! Recipes that bring family and friends (especially teenagers!!) together! I dream about these pancakes! Thank you for sharing your experience with us! Deeva! You made my day! They seriously are the best ever!! Pancakes at midnight should be a new tradition! I must confess – I am a lifelong, pancake-making failure. I have never made one that wasn’t thin and chewy. UNTIL I FOUND THIS SPECTACULAR RECIPE!! Even i can make these wonderful flapjacks. They are delicious and puffy. I use half whole wheat flour and half white flour, and create the buttermilk using whole milk and lemon juice, and they are still fabulous. THANK YOU for sharing this great recipe! These pancakes are a game changer!! 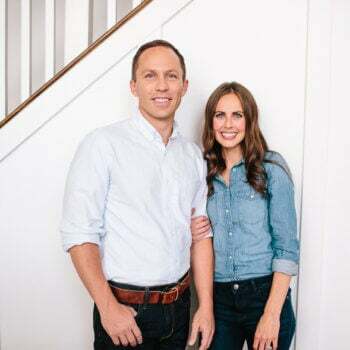 We are so glad that you love them! We have them for dinner all the time! And breakfast too, of course!